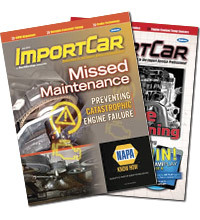 Cause: Frictional corrosion or fretting on the connector line (wiring harness) between the switch cluster and steering wheel. 1. Verify switch operation and malfunction using a scan tool and looking at the live data stream. 2. Remove and replace the steering column switch cluster according to the repair instructions. 3. Install a new steering wheel connecting line. 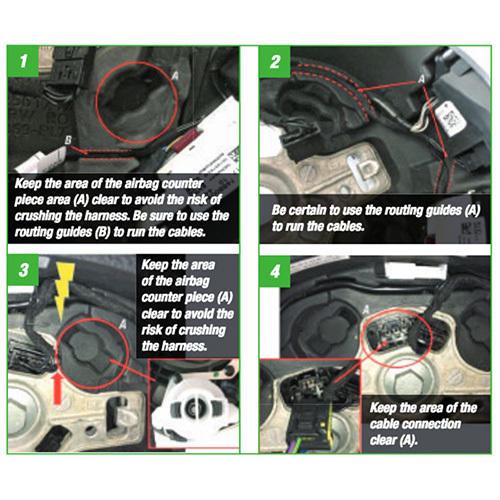 Note: Be sure to correctly route the wiring for the steering wheel connecting line (Photos 1-4).